We check over 450 stores daily and we last saw this product for £99 at Oscar de la Renta. Our striking ring is an instant classic. 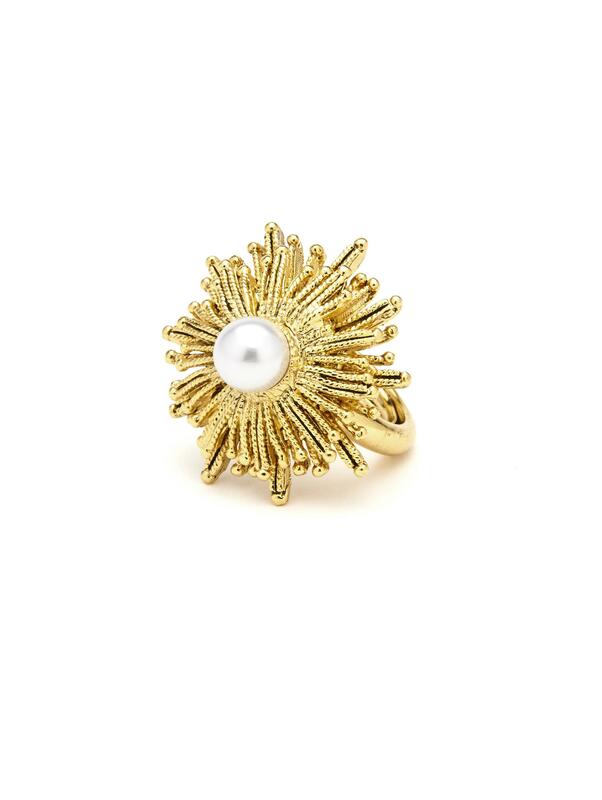 The sizeable piece is crafted with a gold-plated sun star and set with a lustrous Japanese resin pearl. Slip it on with everything from knits to cocktail dresses. 7/8" x 7/8" x 1 1⁄4". Pewter / resin pearl / brass. Nickel-free / lead-free / cadmium-free. Made in USA. Free ground shipping & returns on full-price U.S. orders.